The largest social movement by people of Mexican descent in the U.S. to date, the Chicano Movement of the 1960s and 70s linked civil rights activism with a new, assertive ethnic identity: Chicano Power! Beginning with the farmworkers' struggle led by César Chávez and Dolores Huerta, the Movement expanded to urban areas throughout the Southwest, Midwest and Pacific Northwest, as a generation of self-proclaimed Chicanos fought to empower their communities. Recently, a new generation of historians has produced an explosion of interesting work on the Movement. 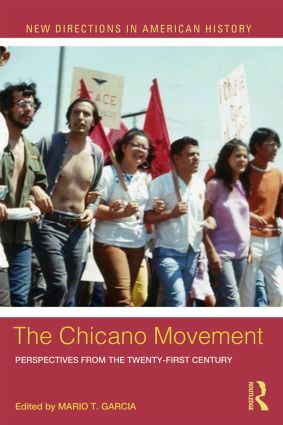 The Chicano Movement: Perspectives from the Twenty-First Century collects the various strands of this research into one readable collection, exploring the contours of the Movement while disputing the idea of it being one monolithic group. Bringing the story up through the 1980s, The Chicano Movement introduces students to the impact of the Movement, and enables them to expand their understanding of what it means to be an activist, a Chicano, and an American.